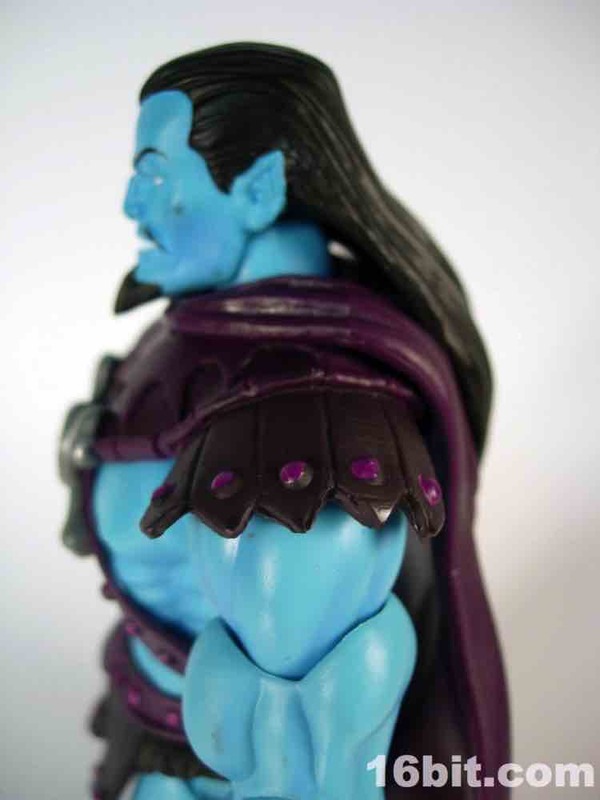 What a difference a few years makes! 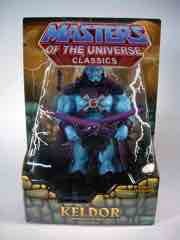 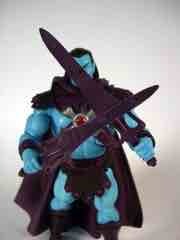 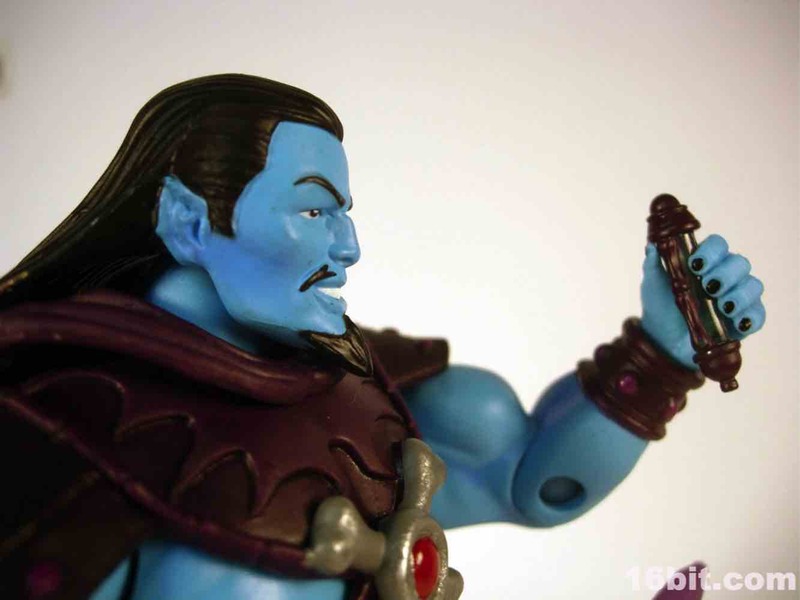 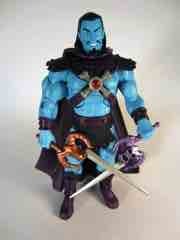 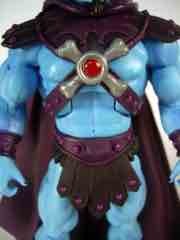 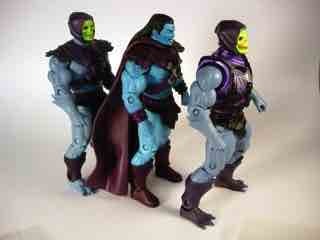 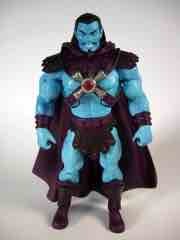 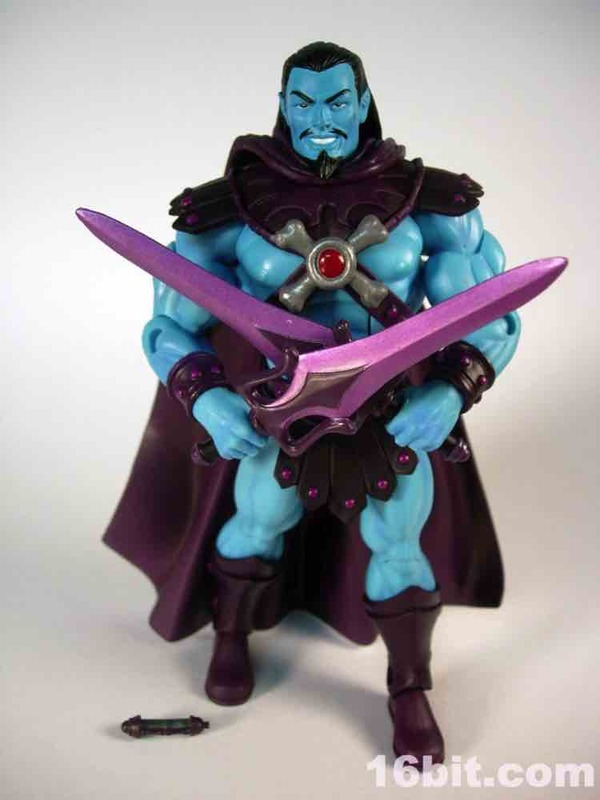 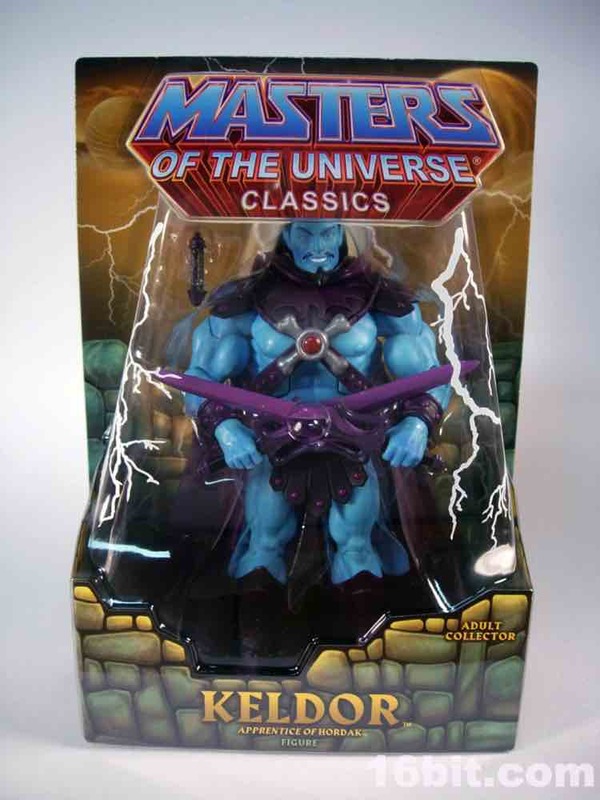 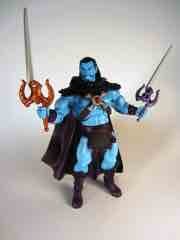 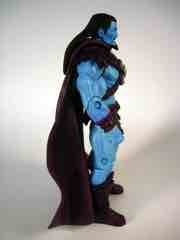 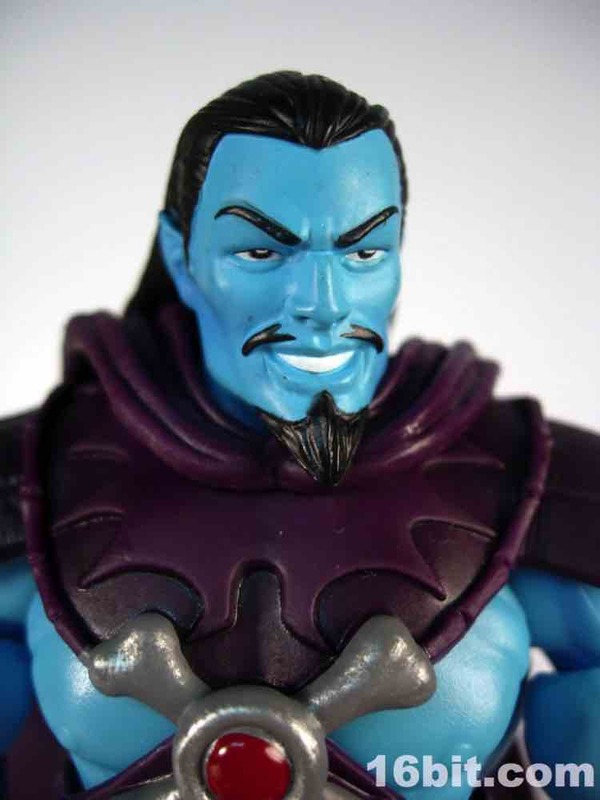 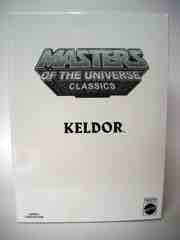 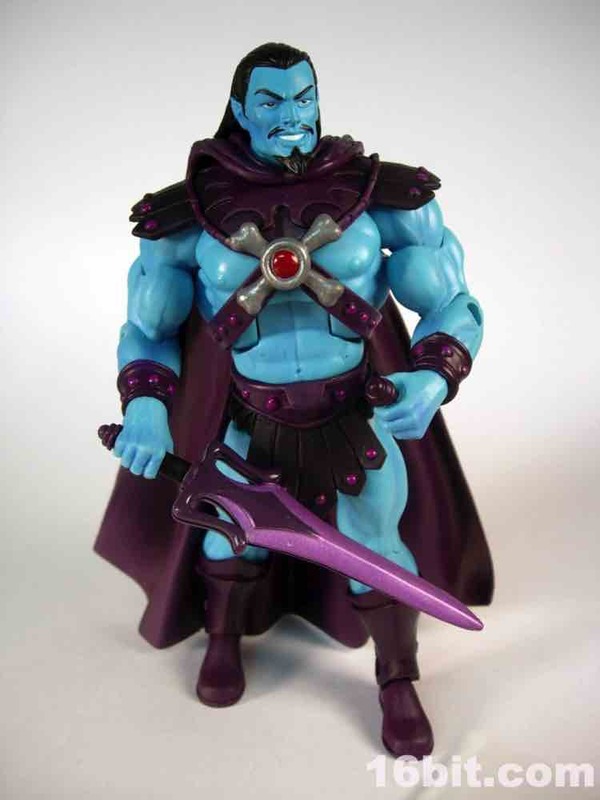 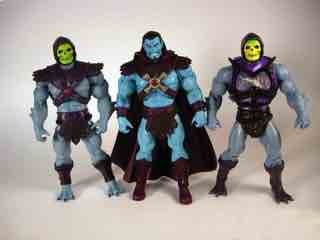 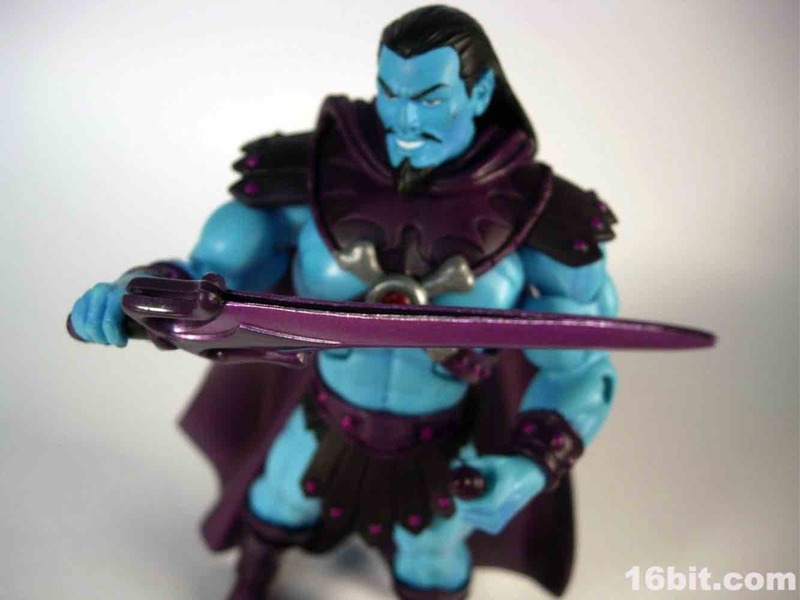 Masters of the Universe Classics gave us Keldor with relatively little fuss - the first figure to bear the name was sold as a Comic-Con exclusive a few years ago, back when Mattel's lines were so bonkers there were lines and tickets for nearly every purchase. 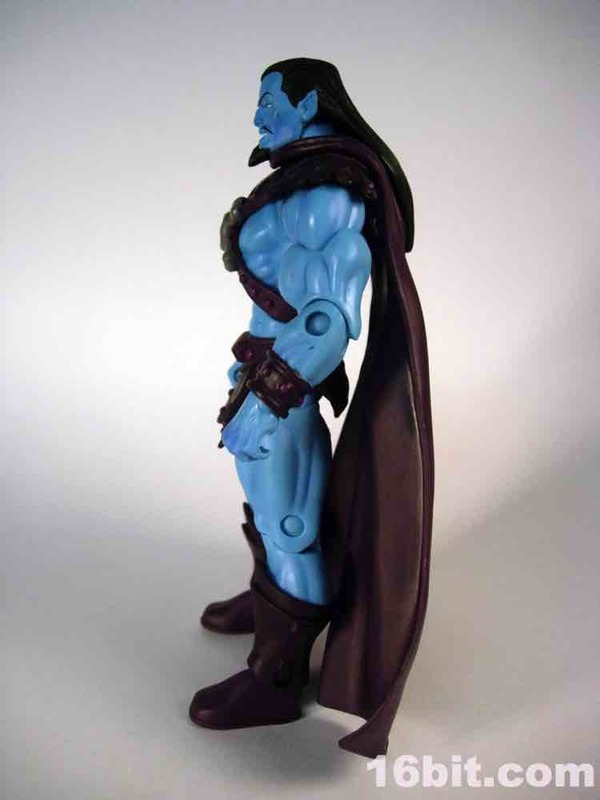 You had to win the right to get it - and it was a pretty impressive figure for the time, too. 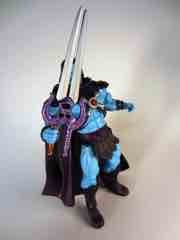 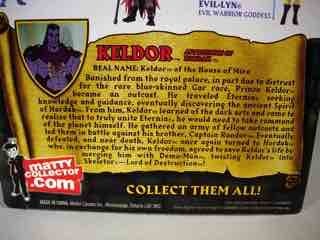 New Keldor lacks the bonus heads and washes, but you still get two swords and a vial of acid. 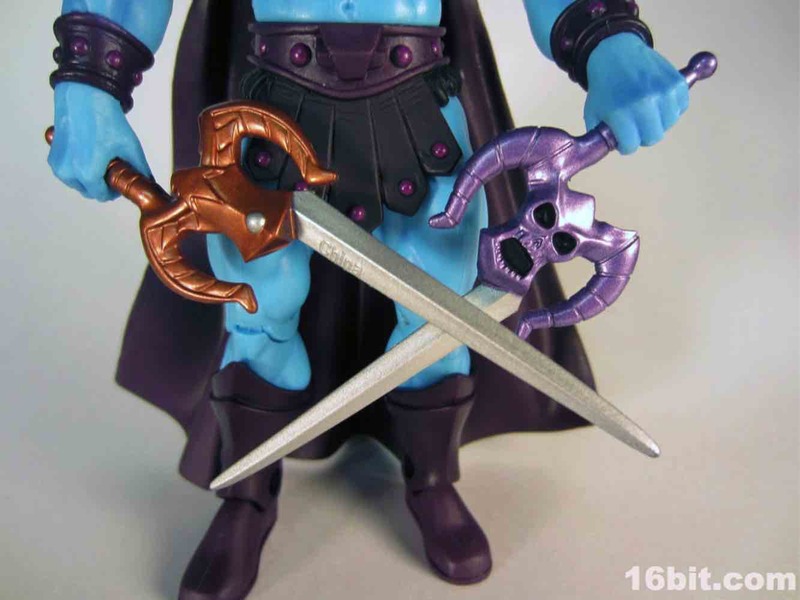 If the included split Power Sword didn't do it for you, newly-sculpted 200X-style swords were sold in an accessory pack a few years later. They're cool, see them below. 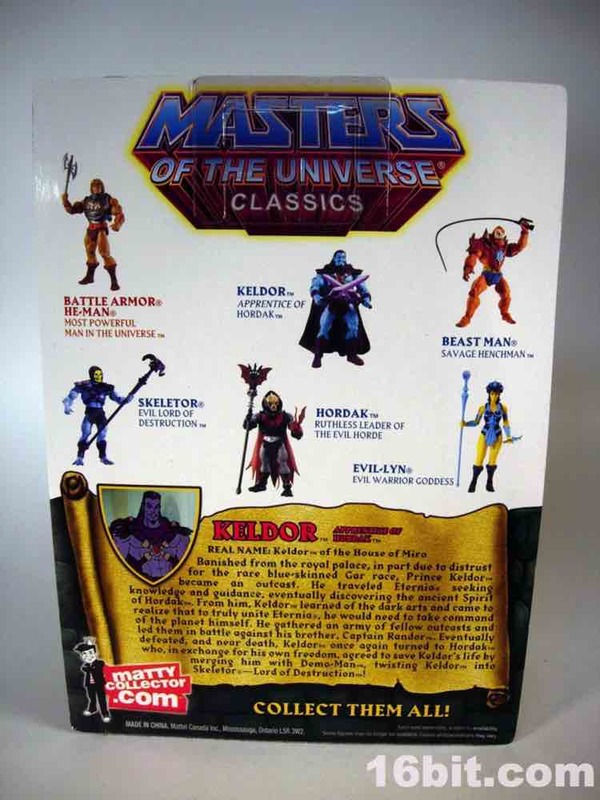 Keldor was a fan-requested figure that also helped to show Mattel's thoughts on this line - they were trying hard to not force samey figures on subscribers, but realized that many fans would like the option. As such, Quarterly Variant/Bonus figures were born and before they were in all subscriptions, you had to buy them separately. This one was cool in that it incorporated elements from numerous existing figures to make that of pre-accident Skeletor, brother of Randor and a fine sign that racism against blue people was alive and well in Eternia much how people in the distant future don't like androids. 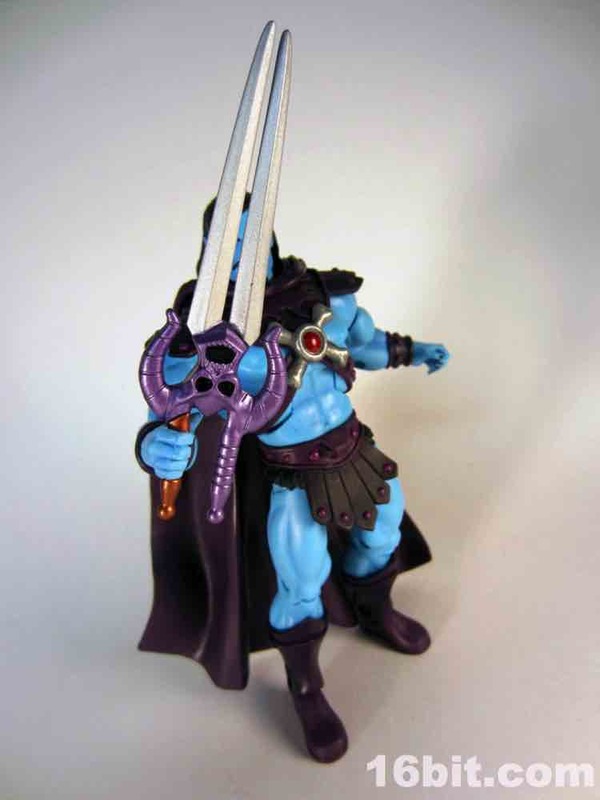 Articulation is the same as always, and the figure is basically Skeletor with new forearms, boots, and a human (OK, Gar) head. He looks dashing with long hair, plus the cape adds some personality to the design. Two purple halves of the Power Sword sorta kinda peg together acceptably, but my sample tends to pop apart - hence the benefit of buying the newly-designed Weapons Pak version (below) based on the 2002-era show. 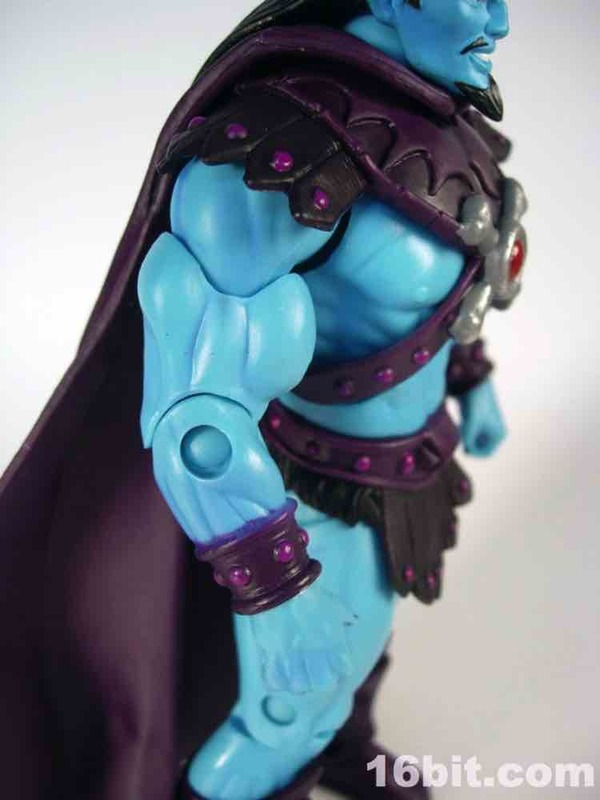 While he sold out quickly, he kept coming back for more - I got mine in a Black Friday sale with several other figures a couple of years back because I'm a cheapskate on shipping. I think it was worth it - to me, a new head brings a lot to the table when making a figure "new." The mustache, pointy ears, long hair, and swashbuckling look make this feel like a totally new figure. 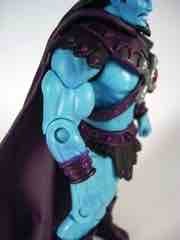 The coloring is brighter and the acid vial is a nice bonus - Mattel did a nice job here. 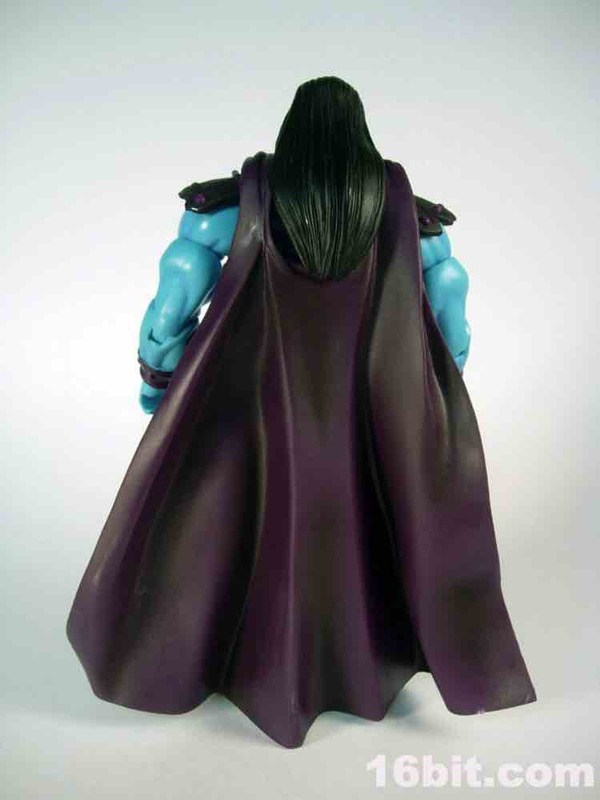 While the cape is plastic (and not cloth) and there's no burning-up face like the Comic-Con version, it's generally an acceptable substitute if not significantly superior in nearly every way. 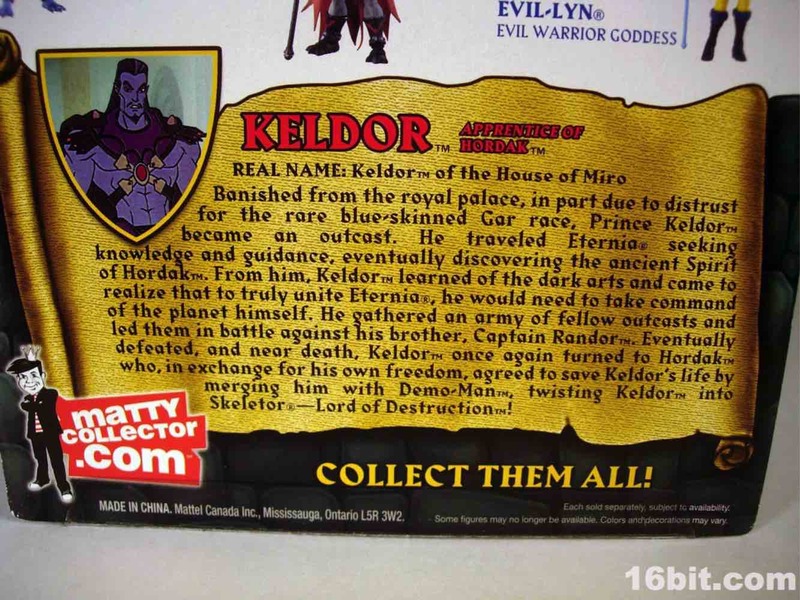 Keldor's legend began in the 1980s mini-comics packed with the toys, but it's that Comic-Con figure that really made the name a toy legend... in frustration. 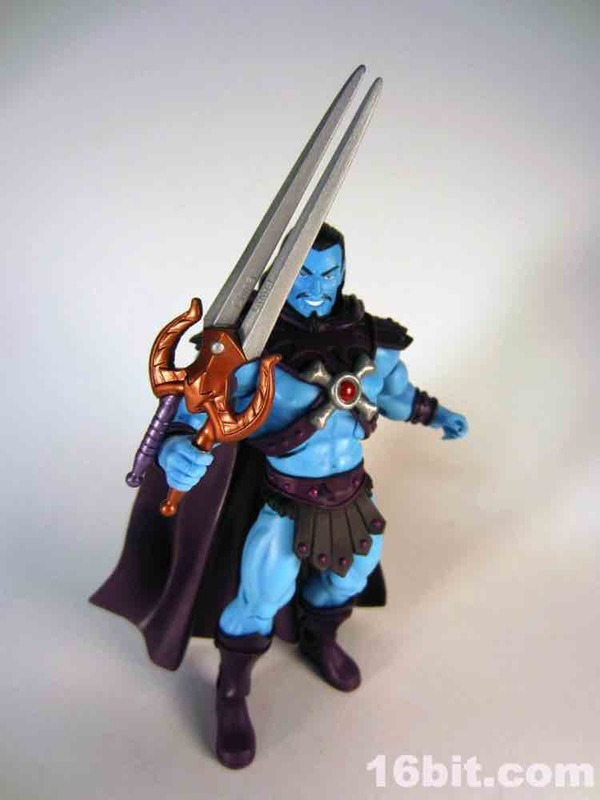 That old figure is still quite valuable, but this newer version has a heck of a lot more articulation, and it's cheaper, and he's taller, andI would argue the sculpt is better. 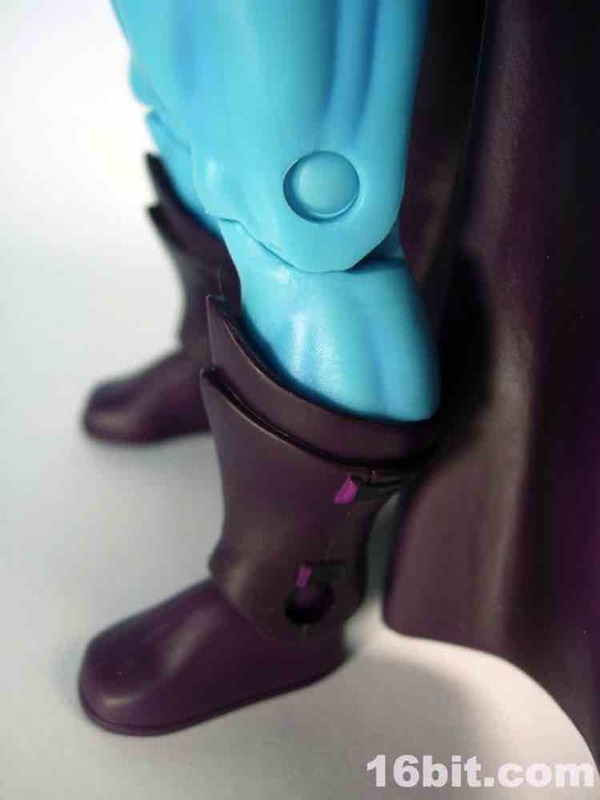 Shoes beats no shoes, so little added details like that in the design make this feel like a more viable fantasy figure. If you like Skeletor - and everybody loves Skeletor - this is a sensible next purchase, especially if you can score one on the cheap as people seem to be selling off some figures these days.